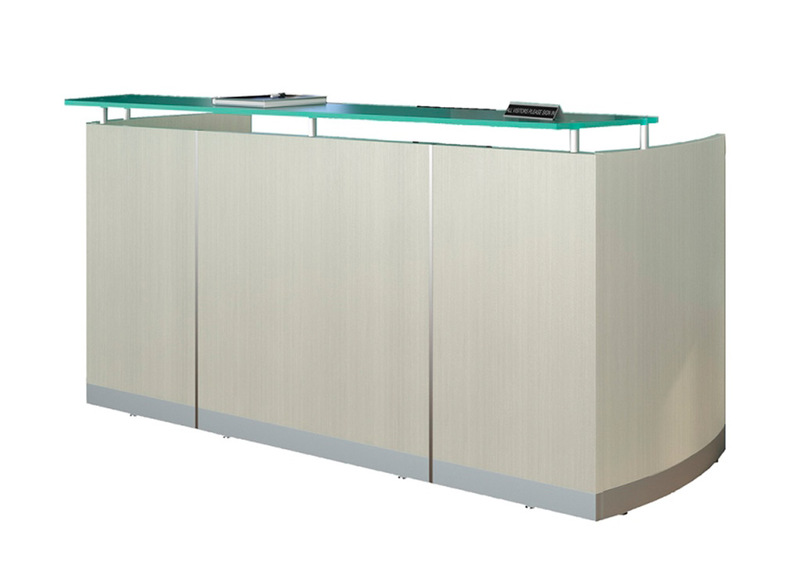 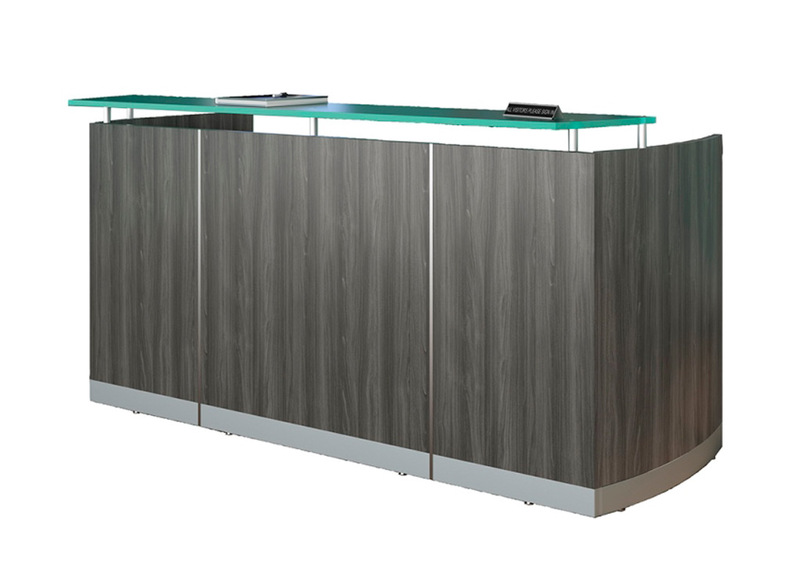 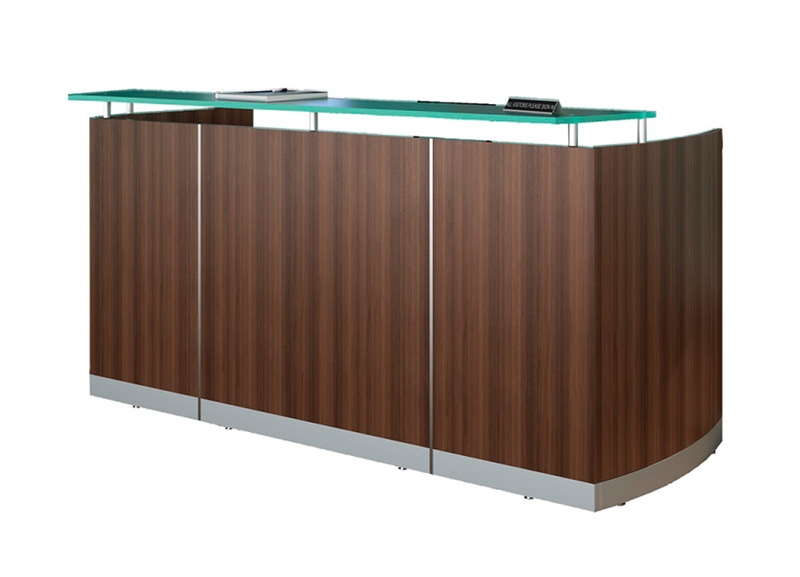 The smooth lines, curved shapes and floating worksurfaces of our Medina modern reception desk reflect Italian design influences. 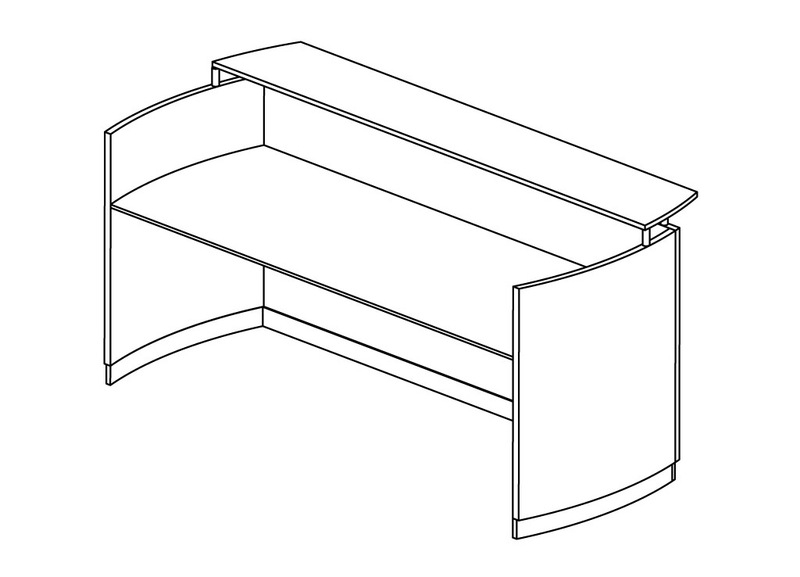 Brought to you by Mayline Office Furniture, Medina provides an affordable yet elegant curve on casegoods. 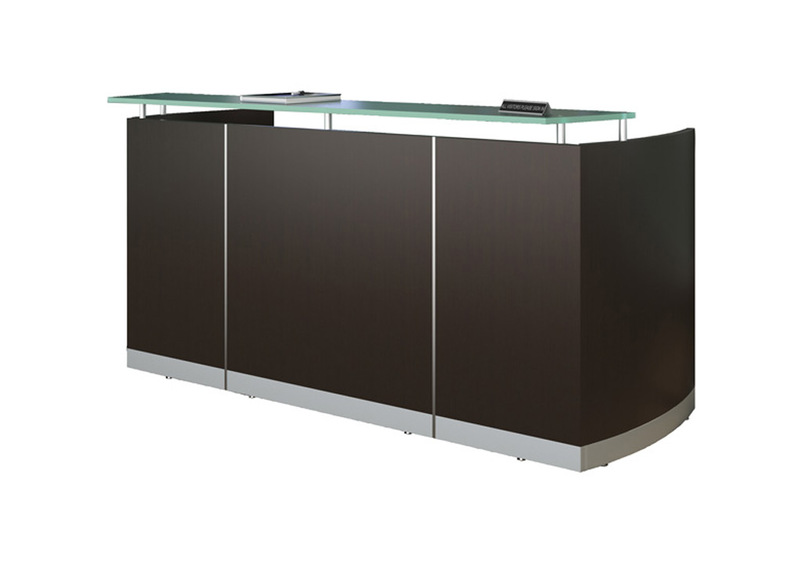 Special Features:Universal return, Frosted glass transaction counter.